At its ninth annual gala earlier this week, Samsung – along with its partners and special guest Jennifer Lopez, Marc Anthony and Matthew McConaughey – announced Samsung Hope for Children, the company’s enhanced philanthropic initiative that will replace its existing Four Seasons of Hope program. The new Samsung Hope for Children initiative increases the company’s cause-related marketing focus to have greater impact on the two areas most affecting children: health and education. Beginning in 2002, Samsung starting working with several elite athletes including sport legends Dan Marino, Boomer Esiason, Arnold Palmer, Eli Manning and NASCAR’s Jimmie Johnson in addition to civic personalities like Rudy Giuliani and many of Samsung’s business and retail partners to raise more than $25 million for more than 300 schools, community-based foundations, and charities throughout the U.S. Given this history and recent studies that have shown how 1 in 5 children in the United States suffer from a chronic illness, ranging from asthma to cancer and developmental disabilities and how 25% of secondary school kids cannot read or understand the material in their textbooks, Samsung felt it was time to enhance its efforts of giving back to the community. These statistics prove that there are a large amount of today’s children who are going to be less productive than they could be as adults and Samsung believes it can continue to help make a difference. This year, Samsung introduced the Dedicated to Wonder marketing campaign for all of its consumer electronics products aiming to provide the wonder of Samsung products to its customers. Now the company is utilizing a similar strategy as it plans to take the existing charitable initiatives to the next level and Share the Wonder with those who need it most. With the announcement of Samsung Hope for Children, the company will strategically focus its efforts on programs dedicated to helping children live, learn, and thrive. This emphasizes Samsung’s long-standing commitment of raising national awareness and funds for deserving foundations, hospitals and schools that make a noticeable difference in communities. In support of Samsung Hope for Children, the company also unveiled a new visual brand identity and website to share these efforts with the community at: www.samsung.com/hope. The event was hosted by Regis Philbin, who returned for his sixth Samsung gala, and featured a roster of celebrities including a special performance by American actress, singer, record producer, and fashion designer, Jennifer Lopez, and her husband five-time Grammy Award-winning singer and songwriter, Marc Anthony. The couple gave a live performance to more than 700 guests in attendance where Lopez’s Maribel Foundation – which falls within Samsung’s health platform, benefitted from the evening’s event. Other celebrities included Matthew McConaughey who was on hand to promote the JK Livin Foundation – which becomes part of Samsung’s education platform and is dedicated to helping teenage kids lead active lives and make healthy choices to become great men and women. “Marc and I started the Maribel Foundation after a situation close to home helped us realize that there are parents out there who are not able to provide their children with the proper medical attention,” said Jennifer Lopez. 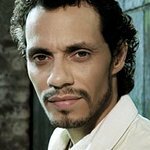 “It’s great to be able to work with a partner like Samsung Hope for Children that is truly passionate about making a difference for children-related foundations like ours,” added Marc Anthony. If you would like to show your support to benefit Samsung Hope for Children you can bid on exclusive charitable items available for auction on charitybuzz until June 23rd. Some of the highlight items include: a motorcycle autographed by QB legends: Joe Montana, Dan Marino, John Elway, Boomer Esiason, Joe Theismann, Jim Kelly and Steve Young or an Eli Manning meet n’ greet opportunity with 4 front row seats at a game, autographed jersey and football.